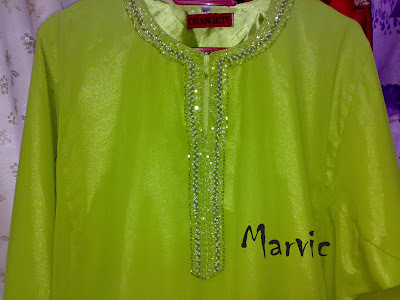 This two more beading work was commissioned by one of the staff for her raya outfit. Just to add to my working history with beads. 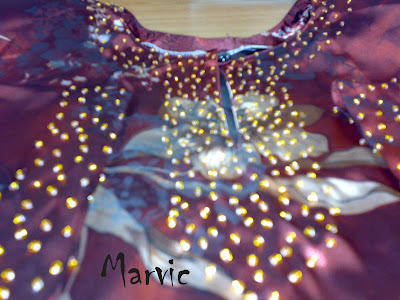 Debie, my friend commisisoned me to do some beading on her baju kurung. I took about a month to finish this as I need to have the mood. 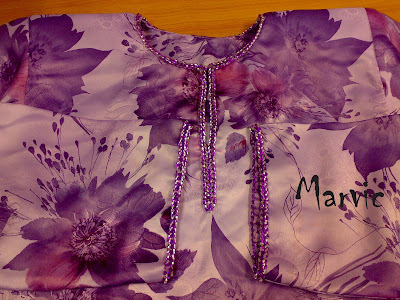 Suddenly after last Eid Ul-Fitri, I didnt have the mood to do either beading or sewing so that is why I took more than a month to finish with this job. 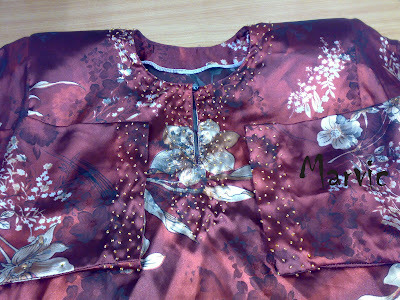 Sorry Debie...But now this baju kurung is already with Debie back in Kuching. 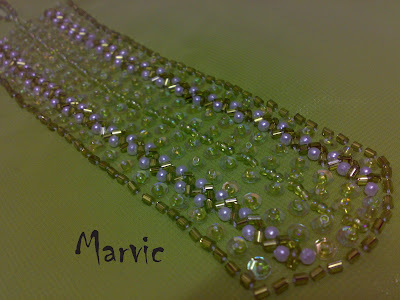 Very nice beading work Marvic! 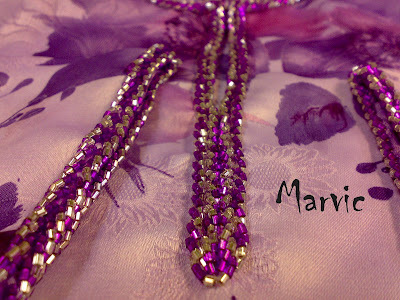 :) Mata kena tajam and have lots of patience to do this ya.